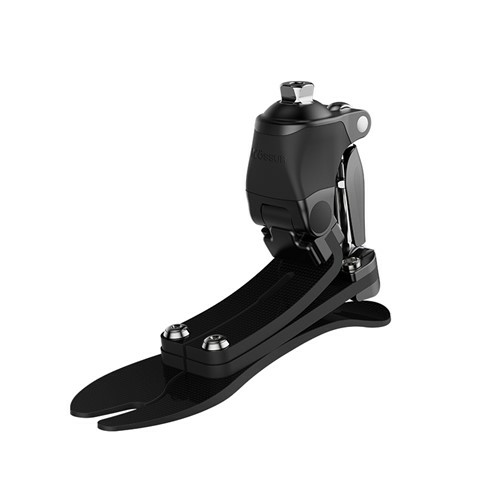 Pro-Flex Pivot is a prosthetic foot that uses complementing levers connected through pivots to create mechanically-powered push off. Combining 27° of ankle motion and significantly greater ankle power than conventional carbon fiber feet, it closely mimics regular biomechanics, delivering a proven 11% reduction in load on the contralateral limb. Össur recommends using Pro-Flex Pivot in conjunction with the sleeveless vacuum suspension system Unity®, which adds minimal weight and no extra build height, and does not interfere with Pro-Flex dynamics. Unity is designed to provide secure suspension in combination with Iceross Seal-In® technology, while stabilizing volume fluctuations and maintaining comfortable socket fit throughout the day.